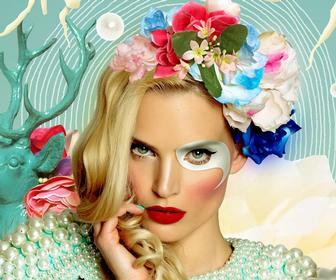 Trying to find the best monitor for art and design work isn't easy, with a dizzying range of choices out there and a just as overwhelming array of specs to get your head around. Numbers and acronyms don't seem to make much sense, and it can be hard to see what features justify the price tag with higher-end models. Digital Arts is here to help though, and in this feature we’ll list the best monitors out there, ranging from high-end displays to more affordable options. 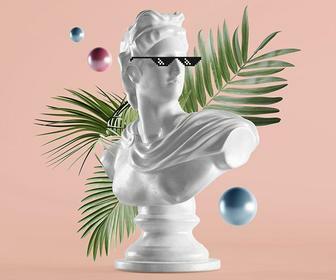 We also break down what exactly you should be looking for in a purchase as a creative, with a look at everything ranging from resolution to colour to aesthetics. We begin our look into the right display for you by looking at that most essential element – size. 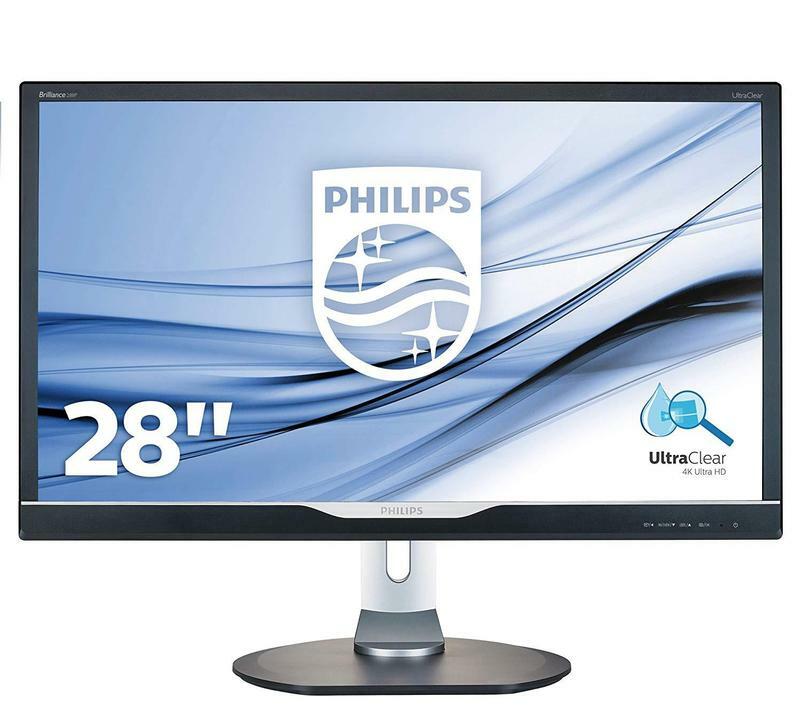 Size is obviously the first factor to take into account when hunting for your dream monitor. 27-inch monitors are usually a safe bet for the price. If money is no object, go for a 32-inch model. Note that some of the more high-end 27-inch screens can go for the same price as a mid-range 32-incher. It can be argued that a 32" model can guarantee those working with video a true cinematic aspect ratio, ideal for more accuracy when editing or compositing. Otherwise, best stick with a small screen if you’re not sure whether you’ll need the extra inches. Resolution is the next thing you should resolve to look into. Don’t go any lower than a screen with 1920 x 1080 native resolution, images coming at you crisply in full HD. The next stage up is Quad HD, with resolution at 2560 x 1440 pixels. 4K UHD resolution at 3840 x 2160 is the best below 5K; you may see some monitors classified as 4D and others as UHD, but they’re essentially the same, and all worth a look at if you work with video and VFX. Things like brightness need less research. 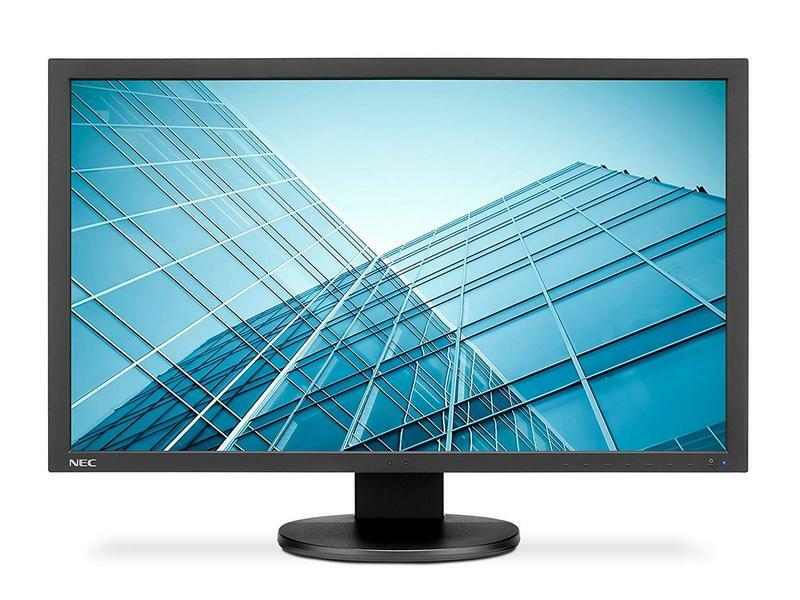 Just make sure your chosen monitor has a brightness level of 300cd/m2, and contrast ratio of 1000:1. 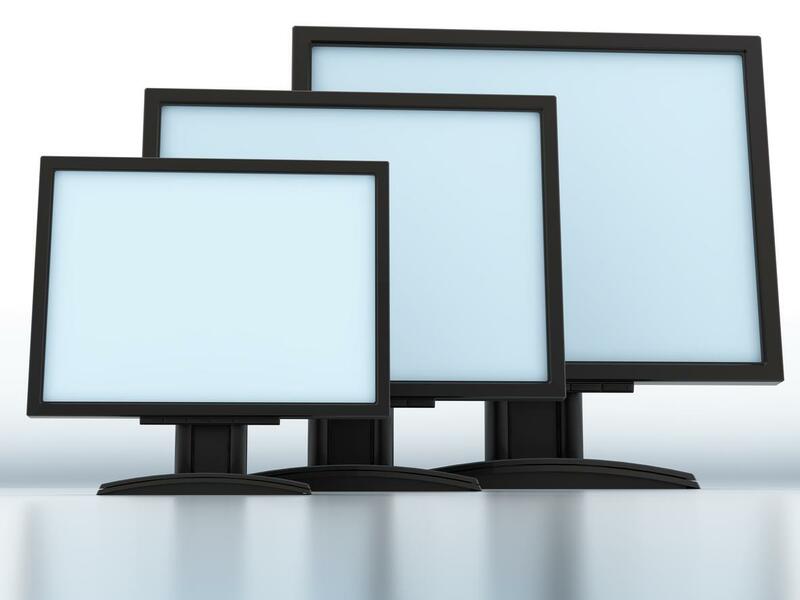 All of our recommended screens have IPS-type LCD display panels. IPS stands for In-Plane Switching, which refers to the shifting patterns of their liquid crystals. The horizontal shifts of these crystals leads to consistent and accurate colour from all viewing angles ; also, IPS monitors usually carry an LED backlight, which offer better brightness and can last longer than an LCD or Incandescent light. It's best as a creative to ignore anything that isn’t an IPS monitor e.g. TN or Twisted Nematic monitors, which are an older kind of LCD panel type that offer narrower viewing angles. Colour distortion at the edges of these screens is an issue, one compounded with bigger screens; blighted by a limited range of colour display, it’s easy to see why they’re a designer’s worst nightmare. They are popular with gamers though for their high refresh rate. Refresh rate is something you’ll see a lot of when when browsing monitors but can safely ignore it as this is something only gamers will be interested in. As a creative, a rate of 60Hz is your maximum standard. Seeing as we’re talking about colour, let’s look at gamut and accuracy. As you can guess, the more colours in your output, the more guaranteed you are of smoother colour gradation. A 10-bit panel can create more than one billion colours; something lower like an 8-bit panel has 64 times less that amount. Monitors with high-definition resolution use 10-bit colour to process their images - but that doesn’t mean a monitor with 10-bit display is automatically an HDR model. The two terms aren’t as interchangeable as made out, so as a creative just ensure you aim for a 10-bit output if you want better colour gradation . All the monitors we recommend below in our list are 10-bit. You may already know this, but the specific range of colours that can be represented in a given photo is called a colour space, with the two most common offered by monitors being sRGB and Adobe RGB. The former can represent the same amount of colours as the latter, but the colour range that it represents is narrower. Adobe RGB gives a wider range of possible colours (although the difference between individual colours is bigger than in sRGB). 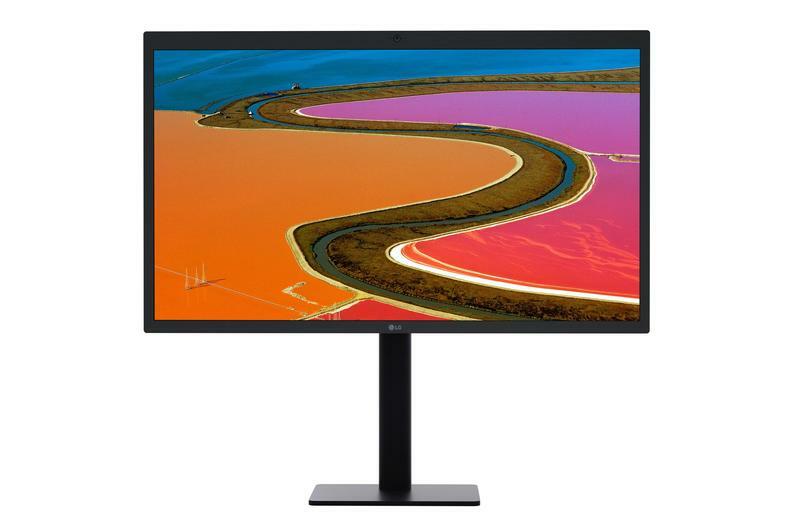 Most monitors allow you to switch between the two, along with other colour modes such as B&W, which is useful as long as you lock the screen to Adobe RGB for creative work. This is the colour space you'll need most due to its wider coverage, so you should be keeping an eye out for a high Adobe rate opposed to an sRGB one when looking over specs. Another colour space you can set some monitors to is DCI-P3, but note this is an RGB colour space created with digital movie projection in mind. 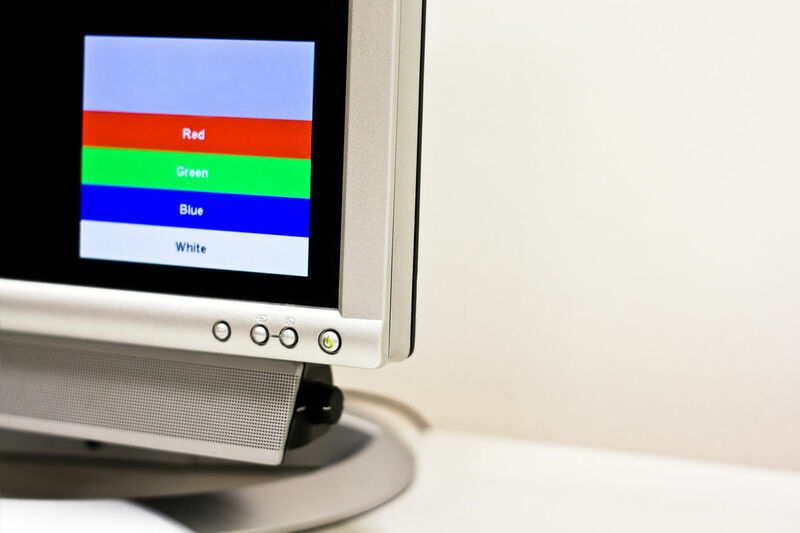 The next question to ask is whether your monitor is ensuring total colour accuracy. To do this, you can look for the magic words ‘Delta-e,’ or dE. It sounds pretty sci-fi, but dE is essentially a number that represents the difference between two colours. Delta-E numbers can be used for telling how far off a print is from the original, and how effective a particular colour profile is for printing or proofing. Ideally, your monitor will be calibrated to a dE of less than three. To put that into perspective, know you can get nothing with a Delta-E of zero, and that the dE of the human eye is around one. Not all monitors carry this information in their specs, though, which can be a little frustrating. While you still won’t be able to replicate the naked eye, an optimium level of colour accuracy can be ensured by using a colour calibration system. This can be achieved by either software or hardware options. Systems with Windows 10 and above, along with Mac OS, will both have calibration built-in tools for you to play around with, while online apps like Calibrize and QuickGamma offer more finely accurate results. Casual users can opt for these, but results are purely subjective as you calibrate the colours to how you see fit. Keeping mind the subjectivity just mentioned, as a creative you’ll probably want to invest in the hardware option of a colorimeter device. This is a device that you attach to your screen and plug in via USB, which then cycles through various colours as part of the included software, ensuring your screen is optimised for each part of the gamut. The priciest option is the Spyder5Elite (£188.50/$199.99 from Amazon), which has unlimited calibration options and five ambient light settings. A nice bonus is it offers you a chance to view your own ‘Before & After’ user images following calibration in full screen mode - well, bigger is better, after all. If you want to keep natural light away from your screen, consider investing in a shading hood. 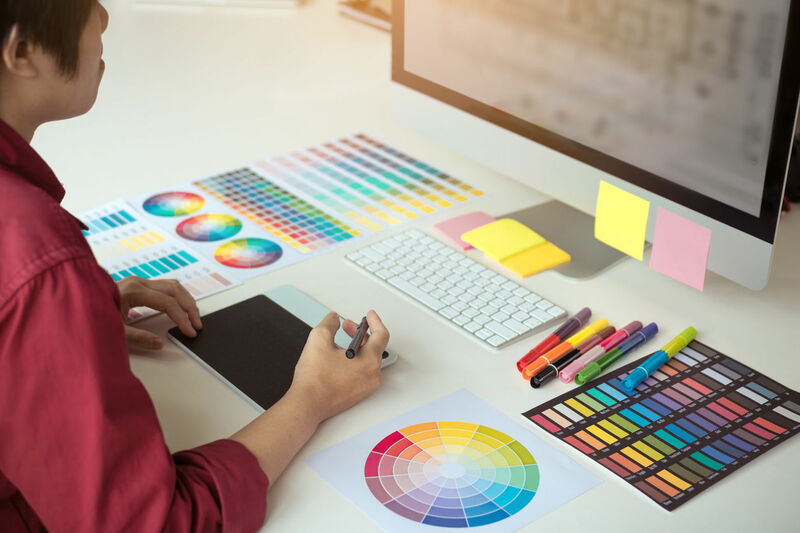 Though not so fashionable these days, it can be useful in working in a room full of natural light to make sure you’re seeing all colours properly on your screen. Go for function not fashion with these - the ideal hood comes in black, and lined with black velvet to ensure no reflections of their own upon your screen. Talking of function, the ideal monitor will have a good range of video ports. It’ll have a port for HDMI; one for DVI would be nice but HDMI connections are more common. It’s always nice to have extra ports for convenience, so try to avoid anything with too few holes. Finally, from an aesthetic point of view, bezel-less monitors or ones with thin bezels are considered the most stylish. As you may know, a bezel is the plastic frame around the actual screen on a monitor; but they can be useful for sticking Post-Its on, I find. You don’t want your monitor to be too inflexible, no matter how amazing the output looks. This means you’ll need to check if a monitor has adjustable height and vertical tilt to reduce neck strain. Vertical swivel is a nice bonus; if you want to go to town on a piece in portrait, you can move your whole monitor around so it matches your piece, as opposed being a portrait piece upon a landscape screen. You can of course find monitors all over Amazon, and the links to our list of best monitors below are mainly from the site. If you want consultancy with your purchase, then Color Confidence is the best to go, a site devoted to monitors, calibrators and other accessories. 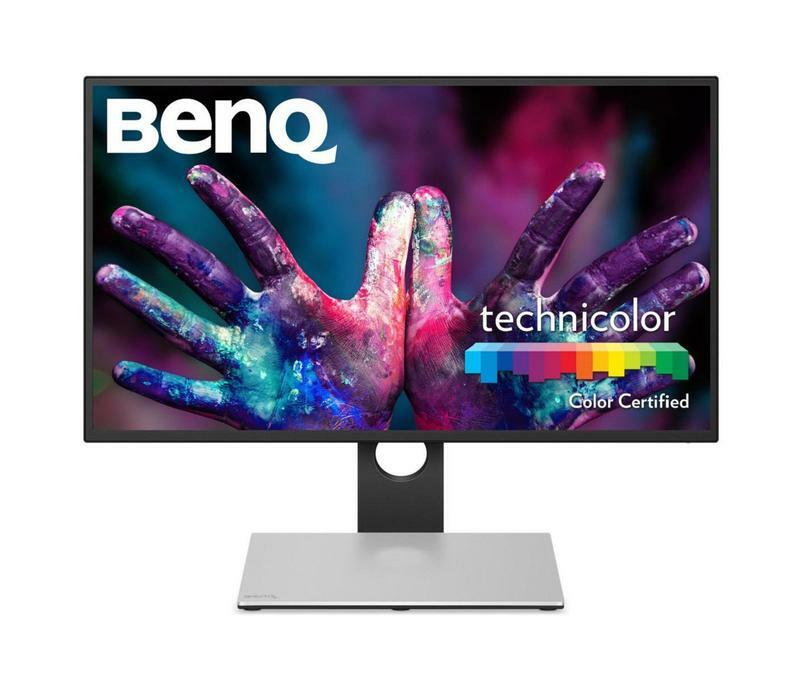 BenQ is a respected name in the monitor market, and the SW320 stands as one of their more high-end choices with perfect Adobe RGB colour space coverage, 4K UHD resolution and a Delta-E of less than 2. Its hardware calibration allows you to adjust the image processing chip in the monitor without changing the graphics card output data, meaning images aren’t affected by graphic settings, keeping consistent with original versions. Software calibration meanwhile is compatible with calibrators like Datacolor Spyder 4 and 5. Two bonuses from BenQ include a detachable shading hood and a Hotkey Puck to switch between Adobe RGB, sRGB and other modes. This round bit of hardware can be tucked into the base of the SW320, ready for you to spin with your hands - no more clicking with your mouse through colour modes, in other words. A quick extra note on colour, as we’re impressed with the SW320’s advanced black and white preset, and the GamutDuo function which enables you to compare two different sources e.g. PC and laptop simultaneously in different colour spaces side-by-side for added comparison. If looking for a low-cost option, the PD2710QC will more than suffice. Marketed as BenQ’s first USB Type-C monitor, the PD2710QC has a built-in USB-C Docking Station, giving a great range of connectivity options without having the inconvenience of cables and a separate docking station. There are also interesting display modes such as Darkroom, Animation and engineering-based Computer-Aided Design/Manufacturing (CAD/CAM). You also get the option of desktop partition, thereby splitting your screen into multiple windows. The build itself is great, with a snazzy space grey metal finish on the back, and a daisy-chaining enabled display allowing you to extend your notebook’s screen across a maximum of four displays. 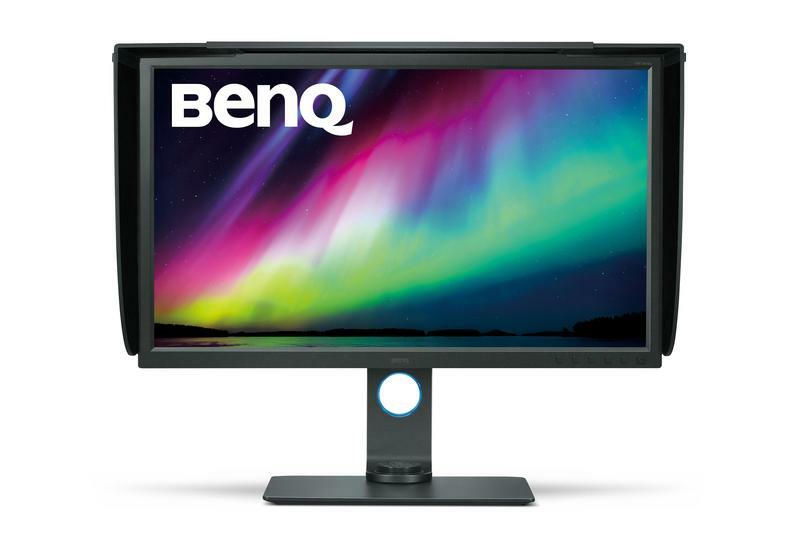 To round it off, you get BenQ’s eye-care considerations, the monitor designed with low blue light, flicker free feedback tech and an anti-glare, matte-finish display. That should keep your eyes fresh for a little longer during the working day (or night, however you work). Dell monitors are on the higher-end of the spectrum, but you usually get what you’re paying for with their monitors. Case in point - the UP2718Q, a 27" high-definition monitor that comes with total Adobe RGB coverage, and a Delta-E accuracy of less than 2. With specs like these, it’s clear to see why Dell is pushing this monitor as the choice for colour professionals, and a factory calibration report is included to give you peace of mind that the screen is calibrated fresh out of the box. Other things that are good to know include a 20000:1 contrast ratio and a peak brightness of 1000 cd/m² (at least three times brighter than most standard SDR displays). There’s a good selection of ports on the back, too, and a nice flexibility which means you can tilt, pivot and swivel it as you please. 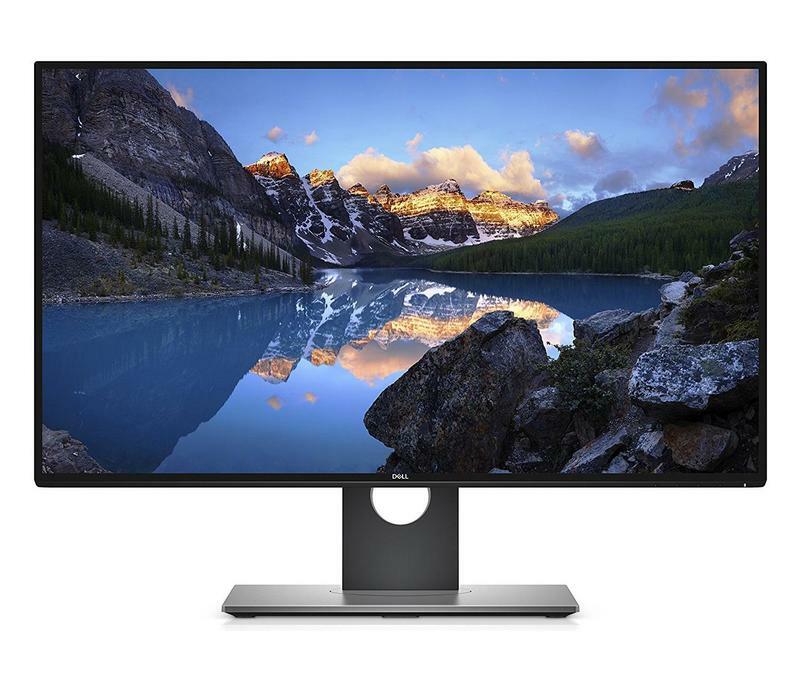 Note that this is Dell’s first monitor to meet HDR10 standards - but don’t let that ‘10’ fool you, as this is the minimum standard in high-definition. 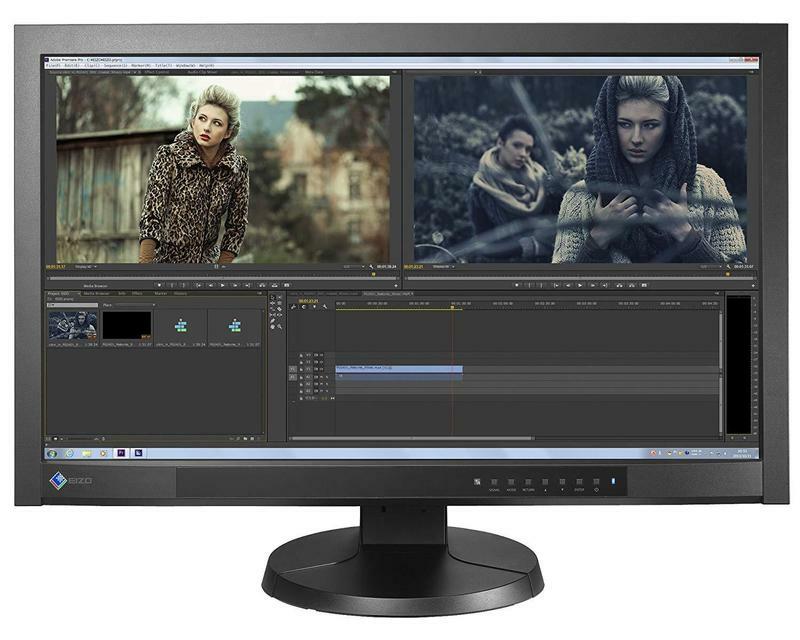 Everything will look great on your screen, but there are cheaper HDR10 monitors out there. Otherwise, buy this screen simply for the peace of mind and fantastic specs when it comes to colour output. The UP3216Q from Dell is a larger option, but at a few hundred quid less. It offers a slightly lower Adobe RGB rate, and the same Delta-E accuracy and almost the same resolution as that of the UP2718Q. 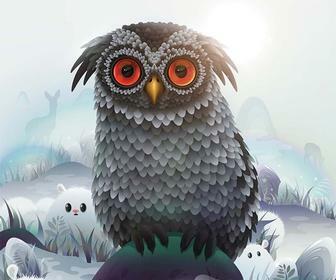 The brightness and contrast ratio are much lower, but still more than enough for most users. What you get with this model exclusively is a 6-in-1 media card reader and an ‘Easy Arrange’ feature that lets you neatly display windows side by side on screen. This model won’t be calibrated from the get go, which means you’ll need to rely on its Custom Color mode, or on adjustments made with a user-accessible hardware look-up table. You can also use the calibration software provided, but for it to work you’ll need to shell out for a compatible colorimeter - the X-Rite i1Display Pro. Perhaps the biggest selling point is the monitor’s green credentials. Made with premium-quality materials, the monitor is free of nasty chemicals and plastics like BFR and PVC. It also boasts an arsenic-free glass, mercury-free LED panel, and a chassis made of more than 25% post-consumer recycled plastics. Environmentally-friendly construction like this is rare, so this may give it the edge over other competitors if you’re particularly concerned about our planet’s future. 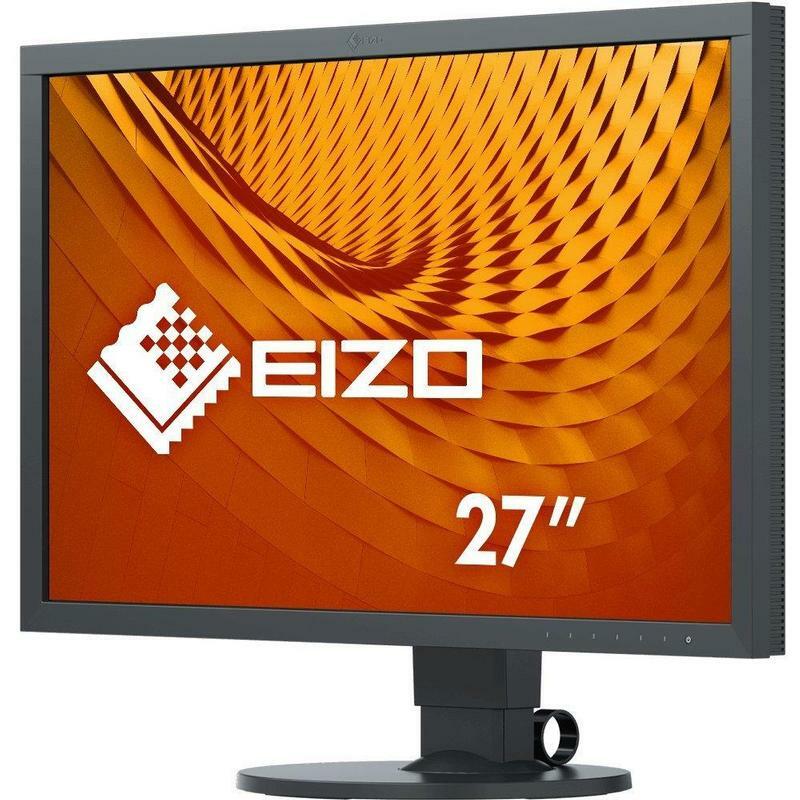 Eizo monitors are ideal choices with professionals with budgets, and the CS2730 is aimed at the more prosumer end of the market. The model has decent brightness and contrast ratio, with the biggest perk being its resolution. Calibration can be sorted using a choice of two provided software solutions, Quick Color Match and ColorNavigator 6. On the outside, you get a thinner-than-average bezel and height, tilt, and swivel adjustments, along with portrait display. There are also some interesting things going on under the hood, with digital uniformity equalizer tech to ensure a stable image in the face of fluctuating temperature, and an option to convert TV and video signals into progressive signals for a flicker-free viewing experience. Eizo's CG277 stands out straight away with an included (and detachable) shading hood; one may joke this is why the monitor is pricier than the CS2730 as it shares many of the same specs. The screen size, resolution and ratio specs are identical, along with equalizer and signal conversion tech. But there is a clear reason why this model is aimed at professionals more than prosumers, and that’s the built-in SelfCalibration sensor. Using either the OSD menu or the bundled ColorNavigator software, you can schedule the monitor to self-calibrate at specific times. 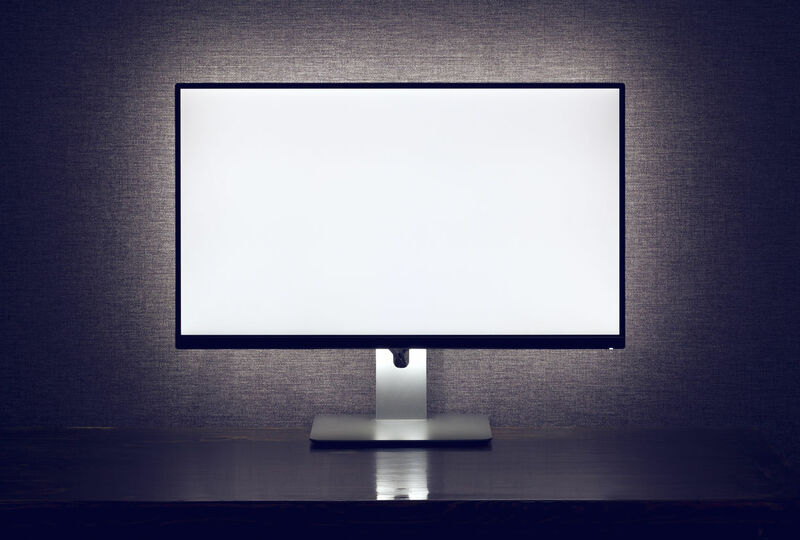 Even if the monitor is switched off or not connected to a computer, it will stick to its preset schedule and self-calibrate, swinging up onto the screen from its hiding place in the monitor’s bottom bezel. A nifty little feature that makes the monitor well worth shelling out the extra money for. 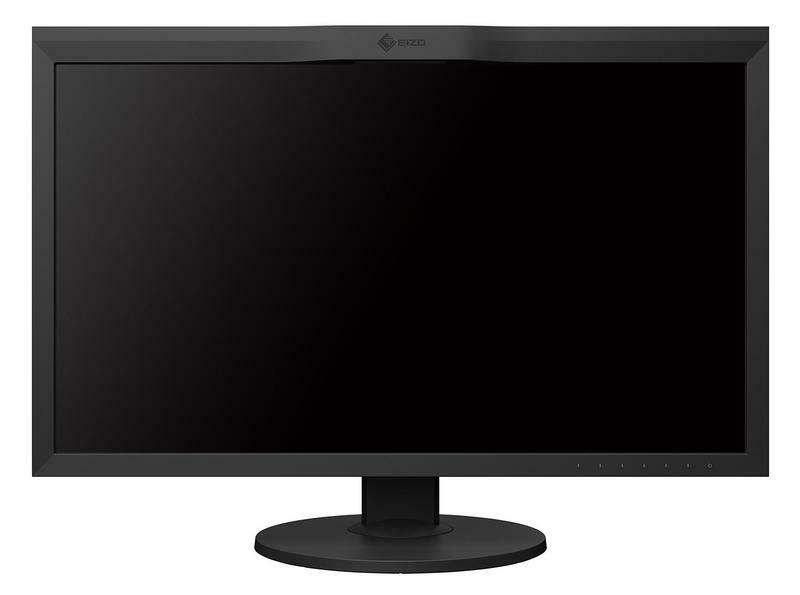 With a 100% RGB coverage, the Eizo CG730 stands out in an oversaturated market. It's the little details though that make it a great monitor - the completely black bezel, the self-calibrating sensor, its splendid port options. It's direct competitors on the market would be the same sized Dell UP2718Q (above), and the bigger Lenovo ThinkVision P32u (below). The Eizo beats both by having something they don't have with the sensor. It also has a lower Delta-E score than either. 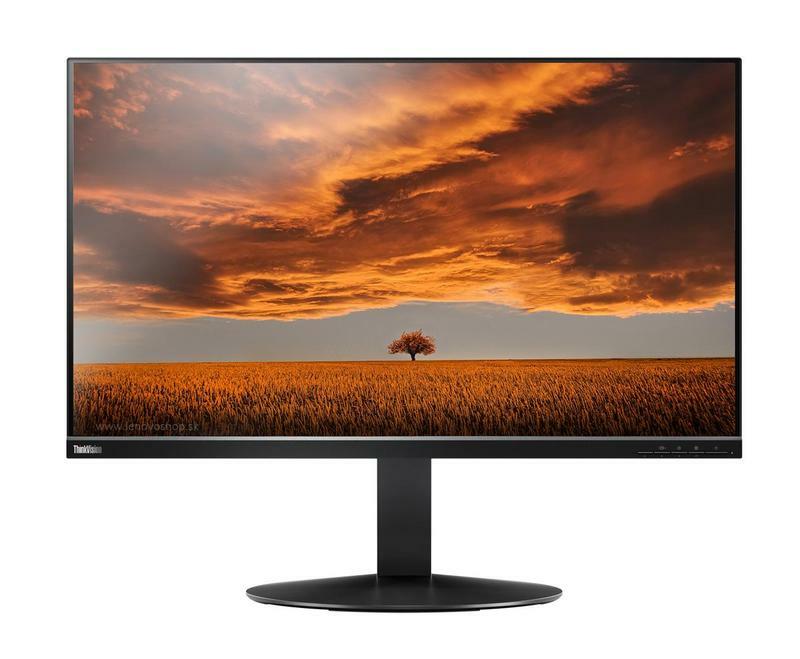 If you want something bigger with Thunderbolt ports, the Lenovo is for you, but the CG730 still stands stronger on the nitty gritty visual specs - colours pop, shades look great in Photoshop, and at the end of the day that's what you really need as a visual creator. Read more about the monitor in our review, and see how it compares with displays for the latest Macbook Pro and the iMac 27" 2017. Users looking for a dual display setup will like the Thunderbolt 3 port that allows you to connect up and charge your Macbook Pro, with the option to colour match the monitor to the Pro’s screen. A good idea, even if the spec differences between both screens make them hard to work on efficiently as dual displays. With a Thunderbolt 3 option, you can already guess the P32U has a good port game, even if it is lacking an ethernet option. All your swivel and height options are there, and you can even plug headphones into the back. This display from LG is the only 5K model on our list, partly as we believe you can be sated with 4K resolution, and partly because this model knocks it out the park compared to others of its ilk. The Thunderbolt 3 option is its first perk, as if you’re using a Macbook or Macbook Pro with retina display, then the 5K makes for the perfect dual display setup (which is probably why Apple are keen to push this model so much). Moving away from connection options, there’s some stunning optics. Even though it has a 92% Adobe RGB range, there’s still that magic 5120 x 2880 resolution, and a brightness of 500 cd/m², which is a few hundred more than what you get with high-end Dell models. If you’re looking for calibration software, then look elsewhere, but if you’re buying a 5K display for work then you’ll probably be serious enough about these things to already have a colorimeter to hand. The whole design looks great, and with built-in stereo speakers, camera and mic, you’re getting what you pay for with this one. 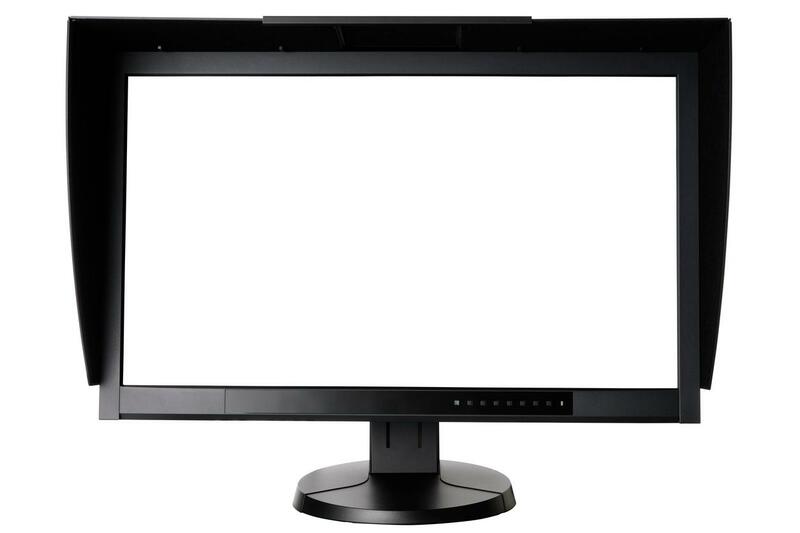 NEC monitors are interestingly aimed at both office workers and creators, but that doesn’t mean there’s any compromise in the little things any illustrator or designer will need. Look at calibration, for example, which is maintained by both a built-in colour engine and integrated backlight sensor to help adjust luminance values. An external sensor is included to connect to the display’s USB port and then administrate your desired calibration target through an on-screen menu. There’s a good number of connections available, including HDMI, and the PA271Q comes guaranteed with USB Type-C connectivity, the latest standard in USB tech. 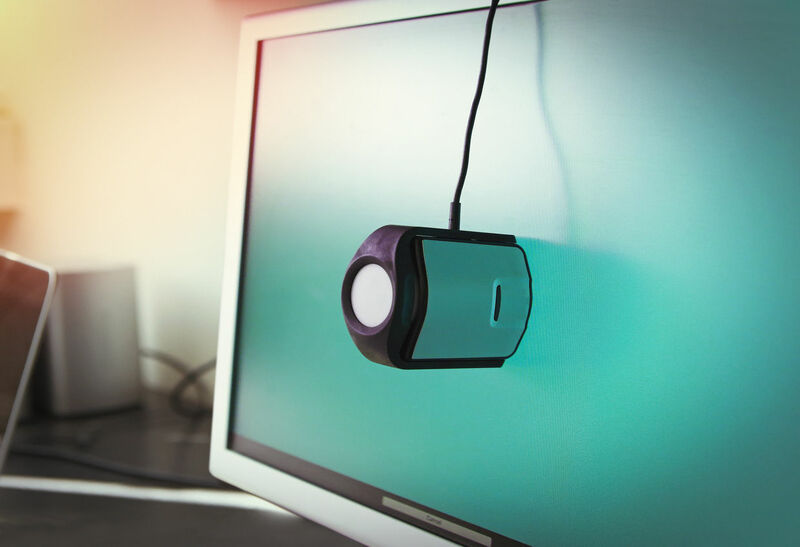 The sensors though are what mark this one out as NEC’s most essential monitor for design folk. 4K is the best you can be aiming for if you work in video and VFX, and the 288P6LJEB from Phillips more than adequately meets demands without making too much of a dent in your bank balance. The display boasts UltraClear, 4K UHD resolution images with colours fully calibrated straight from the box. 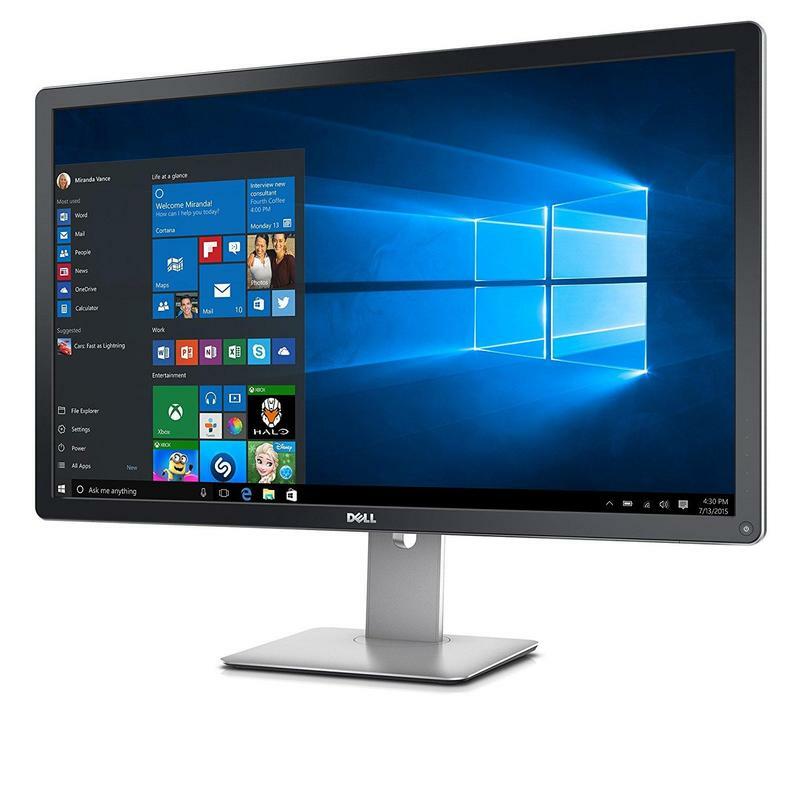 It also has the same decent contrast ratio, brightness and resolution as more expensive 4K models like the Dell UP3216Q which we featured earlier. What you’re missing out on though is a high Adobe RGB rate, standing as it does here at more than a third below higher-end displays. There are also a lot of nice little additions with this display that you won’t find in others, especially at this price. There are in-built speakers in the display, for example, and the stand is greatly flexible, able to be lowered down easily to desk level. The final features that make the Philips stand out in our eyes is an attention to current multi-device ways of working, as reflected in the included Mobile High-Definition Link. An optional MHL cable would allow you to watch video collateral on the screen, with your mobile device being simultaneously charged. In the same stead, with the option of a MultiView display you can plug in multiple devices side-by-side simultaneously, helping achieve all your multi-tasking dreams as you work.